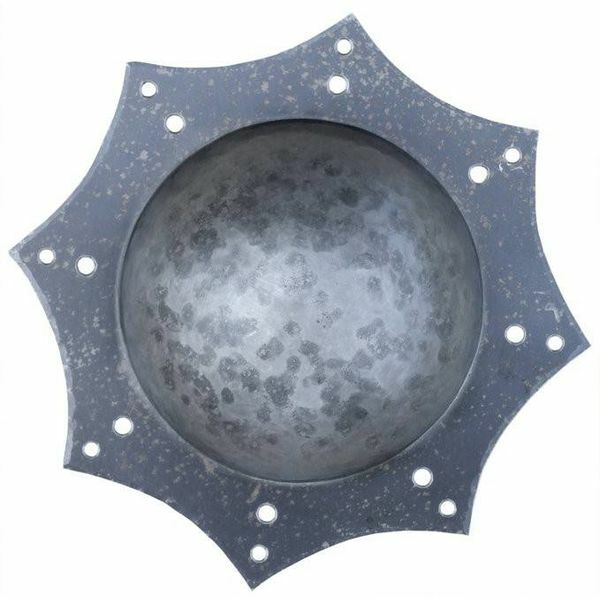 This round shield boss provides protection of the shield and is also suitable for decorating parade shields. 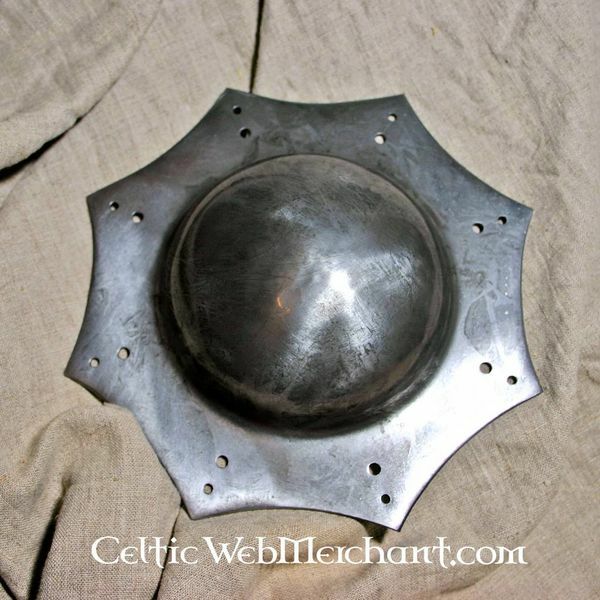 Shield bosses like this occurred all over Europe during the Renaissance. 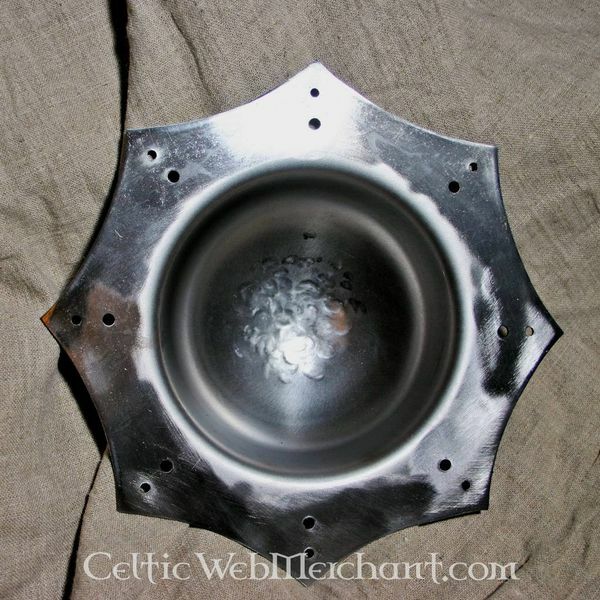 It has a diameter of 23 cm, is made of 2 mm thick steel and has a length of approx. 5,5 cm. It is completely handmade.